Floral, typically reserved for summer and springtime, but styled the right way you can carry this look into the fall; which means your fall wardrobe just got a little more versatile! A rule of thumb: for the colder months, choose your florals that have some darker colors mixed in, making a more fall appropriate outfit! 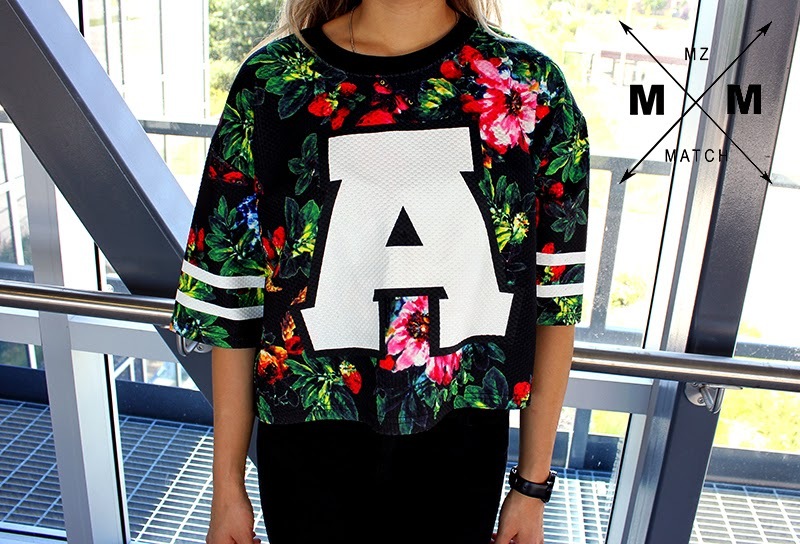 Here I styled my floral top with a pair of black high-waisted jeggings with slit details at the knees. I chose the high-waisted route because who doesn’t love a good pair of high-waisted pants to tuck everything in seamlessly! Also, because my top is cropped, pairing high-waisted pants gives the illusion of longer legs! Since the top is such a bold print, I kept everything pretty basic with accessories and matched everything with black- I wanted my top to be the main focal point of my wardrobe. 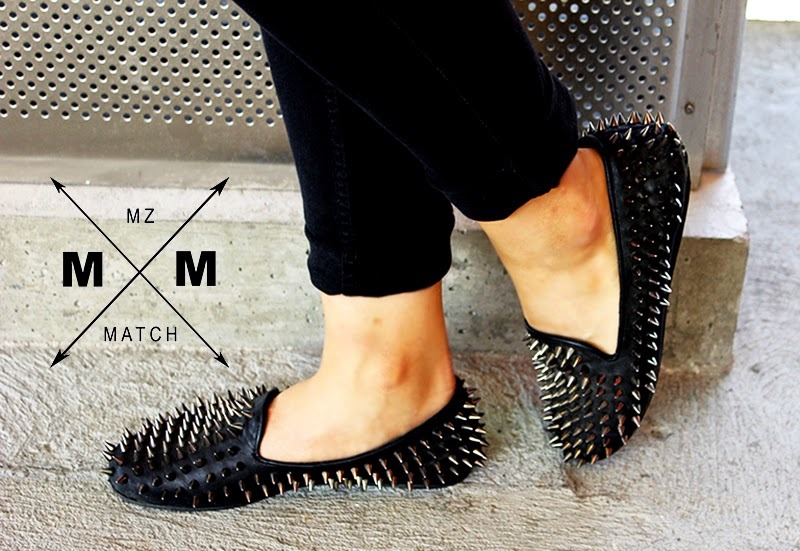 Plus, I completed this look with my spiked loafers; these shoes alone make a daring statement already! You look great nice combo cool top. Absolutely love your loafers, so cool! So cute! Love those jeans! i love this top!!! great print! Impressive slippers! I love the tee as well! love flower print, would you follow each other ? Your top is really cool, but what I love most are your slippers, I LOVE them ! I love this print, and not just for summer bur for all the season! great t-shirt and also look. Love it. Cool look, I love your top!!!!!!!!!! Hey dear! I love your style and your blog:) I follow you now! Absolutely in love with this look!! You are perfect!! Great top. At shirt I thought it may have been a sweatshirt but I see that I'm wrong. Regardless, love the bold pattern & the opposite pairing of the varisty letter. This look is adorable.! I love your outfit and the floral print. Definitely agree. You can totally carry the floral prints over to fall. I'm in search for darker florals to wear for fall! I've found a couple and I can't wait to wear them out. wow! such a nice shoes!